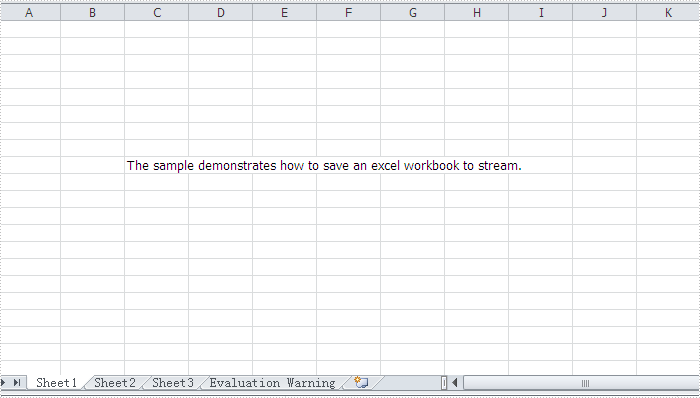 How to dynamically create excel file and save it to stream in your .NET applications? This article reveals using Spire.XLS for .NET to create a new Excel file dynamically and save it to stream. Alternatively, loading Excel file from stream in C# will also be fully described in this article as an additional function of Spire.XLS for .NET. Add Spire.XlS.Worksheet object by using the WorkSheet properties of Spire.XlS.Workbook. After that, write text in cell by take advantage of Range properties of Worksheet. Then call the method SaveToStream of the Spire.XLS.Workbook object and save all the data which is in XLS format to stream. Load data which is in .xls format from steam by calling the method "LoadFromStream" of the Spire.XLS.Workbook object. Save the object of Spire.XLS.Workbook as an .xls file. This section is designed to provide developers a simple solution on how to create Excel file in C#, VB.NET via this .NET Excel component Spire.XLS for .NET. 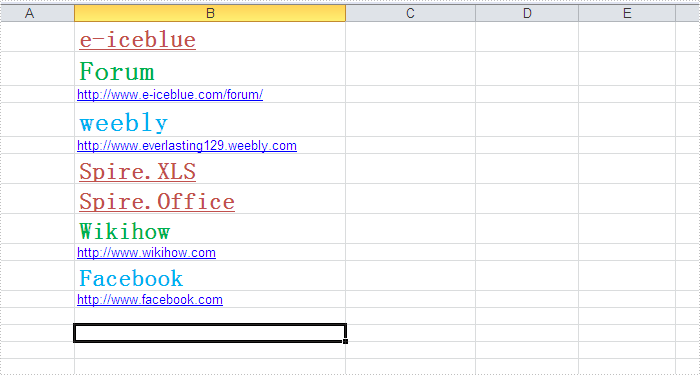 Spire.XLS for .NET allows you to create Excel file on the formats of Excel (.xls) 97-2003 and Excel (.xlsx) 2007 and Excel(.xlsx)2010 without installing MS Excel or any third party library. Apart from creating Excel file, this Excel api also enables you to read, edit and manipulate Excel files with high efficiency in .NET applications. sheet.Range("A3").Text = "This Excel Document is Created by Spire.XLS for .NET"